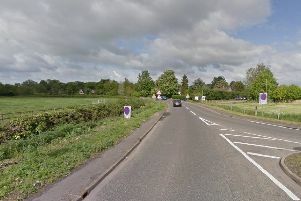 A four vehicle crash closed the A47 in both directions this morning, Monday March 26. A collision involving a lorry, a van and two cars blocked the eastbound carriageway at 8.52am at Thorney Toll. Police and ambulance attended the scene of the collision and closed the westbound carriageway as well to assist with recovery of the vehicles. One minor injury is reported. The road was closed both ways between Black Drove and B1187 Gull Road causing delays on the A47 and A141 March Road as a result. The road was cleared at around 11am.